Java has grown to become one of the most popular programming languages in the world. It is versatile, relatively easy to use, and has a wide range of use cases. This makes it a great language to learn – for beginner and experienced programmers alike – and has resulted in a large number of people asking how to code in Java. The purpose of this how to code in Java for beginners tutorial is to provide an introduction to Java basics and programming in Java. We will look at the why you would want to learn Java, the tools you need to start using Java, and a few simple things to help you learn how to code in Java. 1 Why Would I Use Java? 2 What Tools Do I Need To Start Programming In Java? 5 What Does Object Oriented Mean & How Does It Apply To Java? 7 How Can I Learn How To Code In Java Properly? Why Would I Use Java? Although some programming teams are starting to use other languages, pretty much every single app ever made for Android operating systems is built on Java. That’s right – just about all of the apps you use on your Android phone run on Java. This means that there are thousands of jobs out there for new Java programmers in this field alone. Java is extremely scalable and relatively easy to maintain. This has led to mass adoption by back-end web developers building web apps for large websites. 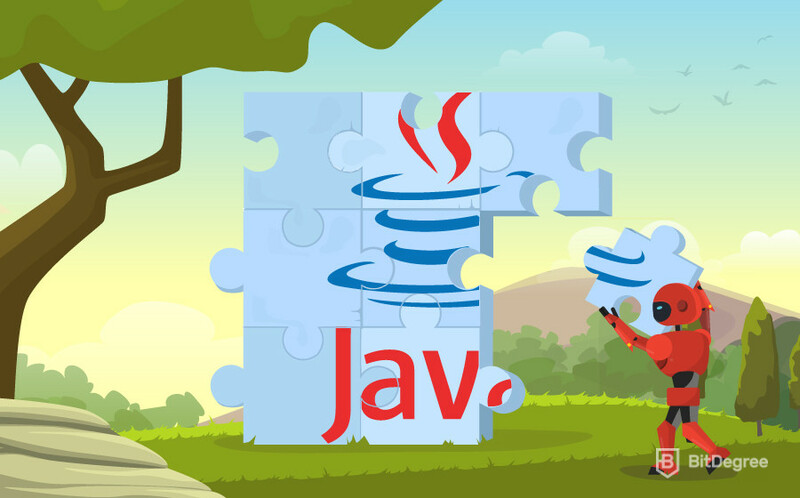 It has been estimated that over 80% of the world’s largest websites use back-end web apps built with Java. Using the Java Virtual Machine program, Java can run on any pretty much any platform or operating system. This is known as ‘platform independence’, and it means that programs coded using Java only have to be written once. Java is super scalable, which means that as a company grows and your web apps become more complicated, it’s very easy to keep the code running smoothly and bug free. Java is quite easy to learn, and it reads like English. This means that it is a language of choice for beginners. It is simple to use and easy to debug if necessary. It offers out of the box memory management. This eliminates the need for third-party libraries, simplifying the programming process. As you can see, there are plenty of reasons why you should learn how to code in Java. In the next section we are going to have a look at the tools you will need to start discovering how to use Java. What Tools Do I Need To Start Programming In Java? The Java Development Kit, or JDK, is a program which allows you to write Java code from the comfort of your desktop. It contains a variety of tools which are very useful for creating, running, and optimising your Java code. It can be used with something like the Eclipse integrated development environment (IDE) to make writing code easier than ever before. 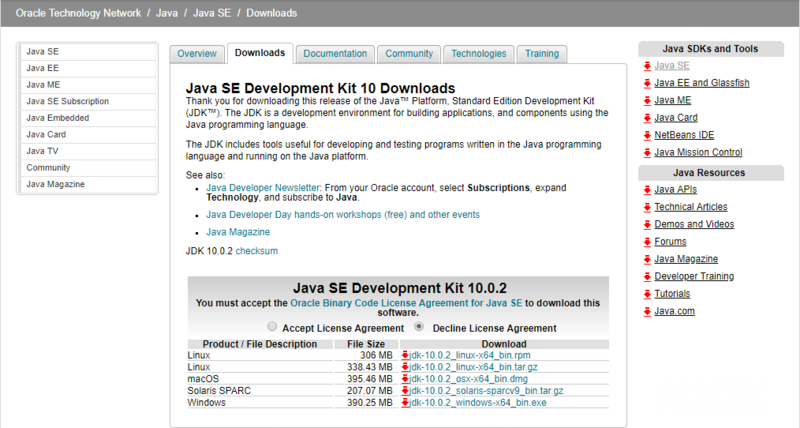 Head to the Java SE Downloads page and click on the latest version of the JDK. Follow the prompts to begin downloading the right package for your operating system. Once the download is complete, you need to run it. The best way to do this will depend on whether you’re using Windows or Mac, but it won’t be any different to installing any other piece of software. Follow the prompts to install the program, and wait for it to complete. Great, now we’re ready to move on to the Eclipse IDE – the second essential tool for people learning how to use Java. Head over to the Eclipse downloads page and select the Eclipse IDE for Java EE Developers. Download the file, save it to your hard drive, and install it like you would any other new program. Open the Eclipse program and choose the default workspace when prompted. 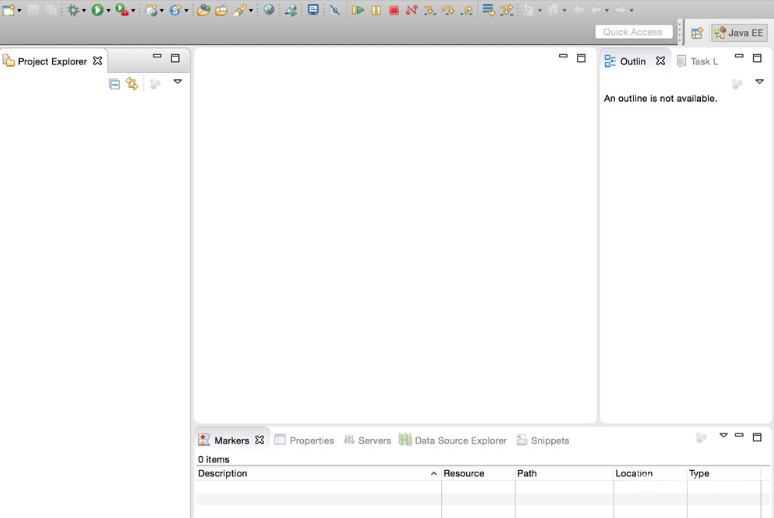 Once you’re inside Eclipse, navigate to Preferences, select Java, and then select Installed JREs. Now you need to select the JRE (Java Runtime Environment) which matches the JDK that you downloaded. If your computer doesn’t pick it up automatically you will need to add it manually using the Add button. To do this, click Add, select the Standard VM option and click Next. Tell the program where to find the JDK (the file directory) and click Finish. Click OK, and we’re set! Well done. 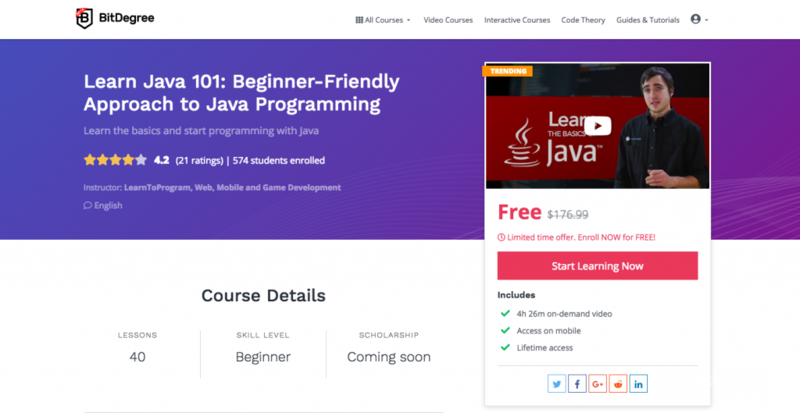 Now you have all the tools that you need to start learning how to code in Java! Next we will familiarise ourselves with the Eclipse IDE. For now we won’t worry about these. You will discover more about them and how they will help you learn how to code in Java as you go, but for now let’s focus on getting your first project off the ground! Once you’ve had a look around the Eclipse IDE we will move onto creating new Java projects. First, select File, then New, then Java Project. It really isn’t that hard, right? Name your project and use the rest of the setting in their defaults. Click Finish and see the result. Congratulations, you just created your first Java project! Now to learn a bit about the language and how we can use it to build our own programs. Now, as we have noted before, Java is a relatively simple language to learn as far as programming languages go. However, this doesn’t mean that it isn’t a little complicated. Even though I’ve tried to keep the following simple (keeping with the theme “Java for beginners”), don’t expect to understand everything straight away. Even learning Java basics takes time, and it will take a lot of hard work and commitment before you understand how to code in Java efficiently. Let’s start with one of the main features of the language – its object oriented nature. Note that covering all of the features of an object-oriented language would take a full article in itself, so the below is meant to be nothing more than a brief introduction. What Does Object Oriented Mean & How Does It Apply To Java? In an object oriented language like Java, program instructions and data are combined to form objects. These objects are self contained, and they have certain attributes and behaviours. Objects come in a wide range of sizes, and they can range from a few simple lines of code to hugely complicated blocks. Now, if you don’t really have any idea what I’m talking about, don’t worry. You’re here to learn how to code in Java, and gaining an exposure to the language is important to help you learn how to use it – even if you don’t really understand what we’re talking about. A properly written object will have boundaries that are well-defined. Objects are only aware of their own data and of any other object that it needs to connect with. Objects have a defined set of activities that they perform – nothing more, nothing less. Objects are dependant on other objects, but only to the extent that they rely on them. Keywords – Java contains a short list of words which are recognised by the code reader as special. That means that they have a special function, and that they will perform certain actions when used in your code. Some common keywords include if, for, else, and float. If you are using a code editor like the JDK with the Eclipse IDE installed, you will notice that keywords appear a different color to other elements of your code. Literals – Like keywords, literals have special functions which they will enact when they are included in your code. There are three literals: true, false, and null. Classes – Classes are one of the major features of the Java programming language. They are used as blueprints that allow you to create objects. They define the general structure of the object, the object’s boundary, and its state. Classes are defined according to a very strict set of rules which you will discover as you begin to learn Java. Strings – Strings are a very important part of Java syntax. They are first-class objects which hold a particular value (usually a ‘string’ of text). 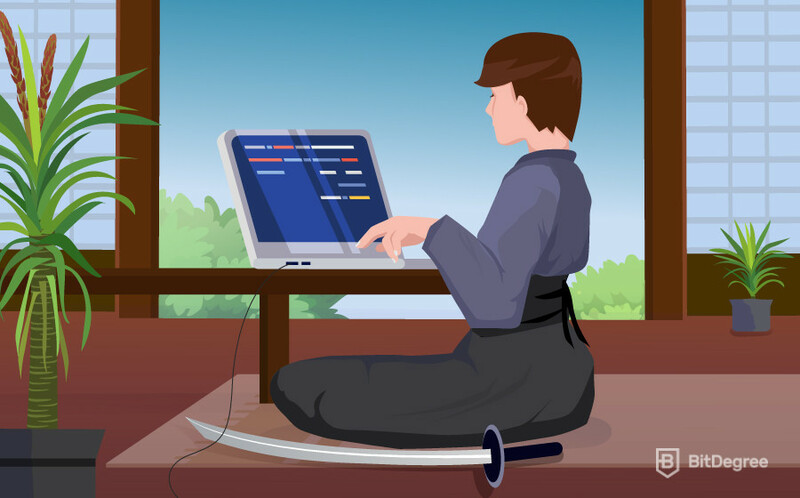 Operators – Like many other programming languages, Java uses operators. These are used to do arithmetic and to assign values to variables. There are two types of operators in the Java language: Unary operators, which only require a single operand (such as = or +), and Binary operators, which require two operands (such as ++ or +=). There are a wide range of different operators which have different functions. You will discover these as you start to learn Java. The IF Statement – Again, Java has a feature common among many languages – the IF statement. This statement takes an input, determines if it is true or false, and gives a pre-defined output according to the result. The ELSE Statement – The ELSE statement is used in a very similar way to the IF statement. However, the difference is that the ELSE statement only comes into play if the IF statement is false. For example, we feed something into the IF statement, which results in a false value. The ELSE statement then executes its code. If the IF statement is true, the ELSE statement is ignored. Loops – Loops are constructs which allow you to execute or iterate over the same block of code multiple times while certain conditions are met. There are three different types of loop constructs – for loops, while loops, and do…while loops. You will discover more about how these work and how you can use them when you begin learning Java. Comments – Comments are small pieces of text which are written between lines of code to explain what the code is and what it’s supposed to do. They are extremely useful when you have to come back over your code at a later date, and it is a very good idea to get into the habit of using descriptive comments! How Can I Learn How To Code In Java Properly? If you have no coding experience and have never learnt a programming language before, you might be wondering how everything we’ve been through relates to learning how to program in Java. Well, luckily for you, we’re going to lighten things off now and touch on some of the best ways to learn the basics of how to program in Java. Online courses are a great way to learn how to program. Programming languages are complicated, they require a lot of time and effort to learn, and it can be very difficult to get your head around the syntax. If you have decided to learn Java basics, then have a look at the wide range of courses offered on the BitDegree platform. Note: BitDegree is often offering various discounts and coupon codes for coding courses, so you can take advantage of it and access Java courses for free. In my opinion, the Beginner Friendly Learn Java 101 course is one of the best ways to learn how to code in Java. Designed for beginners who have no previous coding experience, this course contains almost four and a half hours of high-quality video tutorials. It will introduce you to and expand on the basic syntax used to program with Java. It will give you the chance to write your own programs in the JDK code editor that we downloaded earlier, and it will teach you the basics of back-end web development using Java. Alternatively, you might decide to learn Java for beginners by using a mobile app. With the rise of programming and the increasing demand for experienced coders has come a range of mobile apps that are designed to teach the everyday person how to code. While a lot of these are aimed at children and young teens, they can still be used by the average person to compliment other resources. Head over to YouTube, type in something like ‘how to code in Java’, and you will find that there are a whole range of video tutorials available that are designed to help the average person get started. These tutorials will help you get a basic grasp on the basic concepts of Java while giving you the opportunity to practice writing code in your newly downloaded code editor. Another great technique is to get out there and start networking with other like-minded people who are also learning Java. Join an online chat group or forum, share your code, and comment on the code written by other learners. You will find that engaging with a group of people who have similar goals will help you stay motivated, even when the going gets tough – which it will! Build small classes. This will make sure that your code remains readable, maintainable, and clearly accessible to other developer who are required to deal with it after you. Use comments! Comments are short written statements which tell other people (and yourself) what your code is and what it’s supposed to do. Clearly name your methods. This will help prevent things from getting confusing, especially when you’re writing complicated programs with thousands of lines of code. These are just a few of the things that you can do to make sure that you are writing good code from the start. The most important thing at this stage is to get out there and have a go. So what are you waiting for? Now you know all about learning how to code in Java. Although it’s a relatively simple language (when compared to something like C or C#), it will still take a lot of time and effort before you’re fluent at writing even basic programs with Java. Make use of online resources, commit a certain amount of time every week to your studies, and make sure that you practice writing programs. Become fluent in Java syntax, network with other learners, and above all, make sure that you never stop learning! Congratulations, you know everything that you need to start writing code in Java. Now it’s up to you what you do with this knowledge. Are you going to let the opportunity pass, or are you going to grab it with both hands and make Java the first step on your journey to becoming a career programmer?